Rasam is a lentil and tomato soup that is a typical South Indian dish that is eaten with rice, usually as the final accompaniment to rice in a sadya, which is a traditional south indian feast. It is hot and tangy – other than tomatoes and lentils it has garlic, cumin, black pepper and lots and lots of fresh cilantro which gives the soup its restorative qualities. It is really beneficial to have hot rasam when you have a cold and when you feel like only slurping warm stuff down your throat. Tamarind is used to give the tangy flavor. 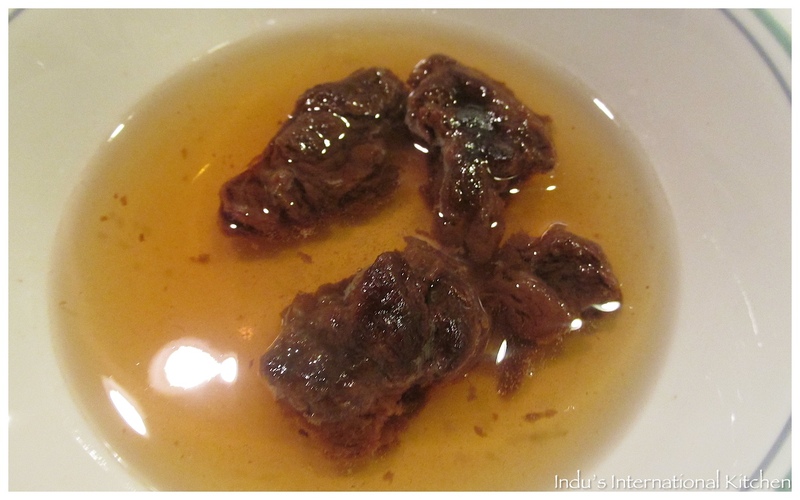 But if you dont have tamarind, you could use lime juice as a substitute. 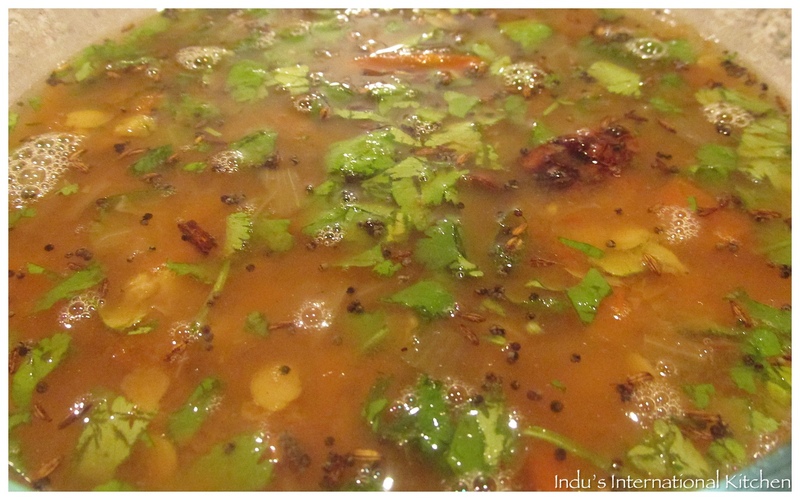 I recommend you use freshly roasted cumin powder for a great tasting rasam.! 2. Extract tamarind pulp out of the soaked tamarind and using a strainer , strain the pulp into the pot with the cooked lentils. Adjust the consistency of the soup at this stage. If its a little thick, add some water to make it watery. 3. Continue cooking on low heat and add the cumin powder and black pepper powder and after 1 minute turn the heat off and add the fresh cilantro leaves. Keep this aside. 4. Heat a small pan (tadka pan) and add the coconut oil. When it gets hot, add the mustard seeds. Once they start spluttering, lower the heat to low and add the cumin seeds and the methi seeds. Wait for about 1 minute until the methi seeds turn dark brown. 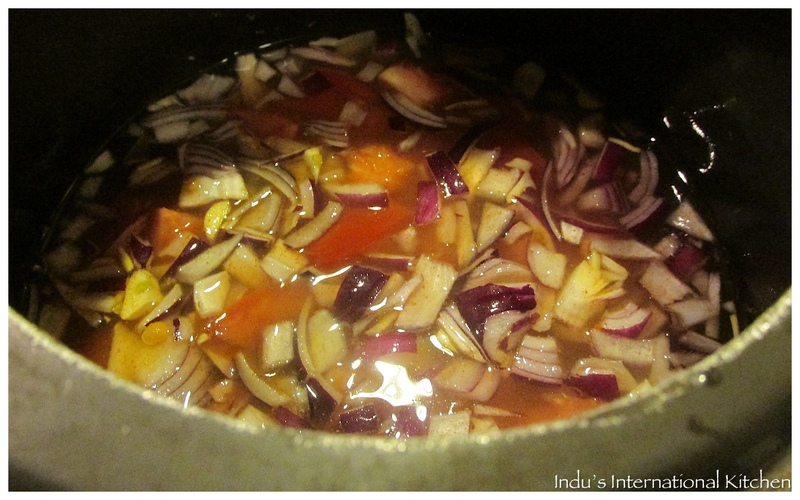 Turn the heat off and add the dry red chillies and the curry leaves. 5. 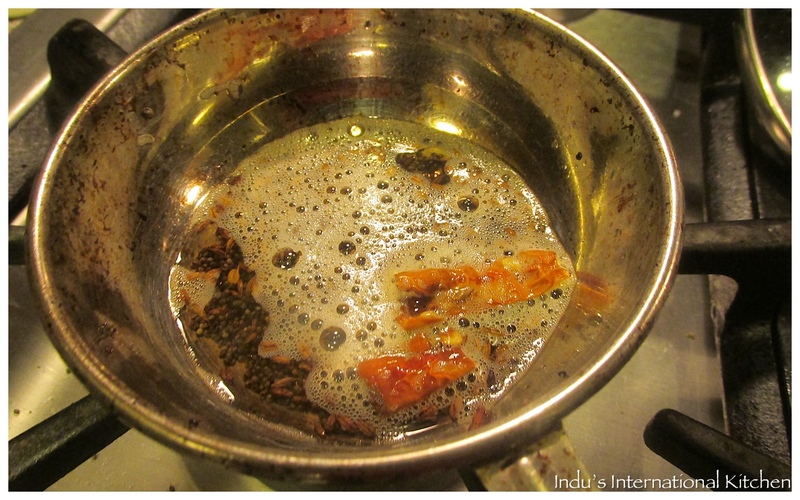 Pour the above tadka (flavored oil garnish) on to the lentils mixture. Cover with a lid for about 2-3 minutes so that the cumin and methi seeds turn soft. Serve with plain white parboiled rice. 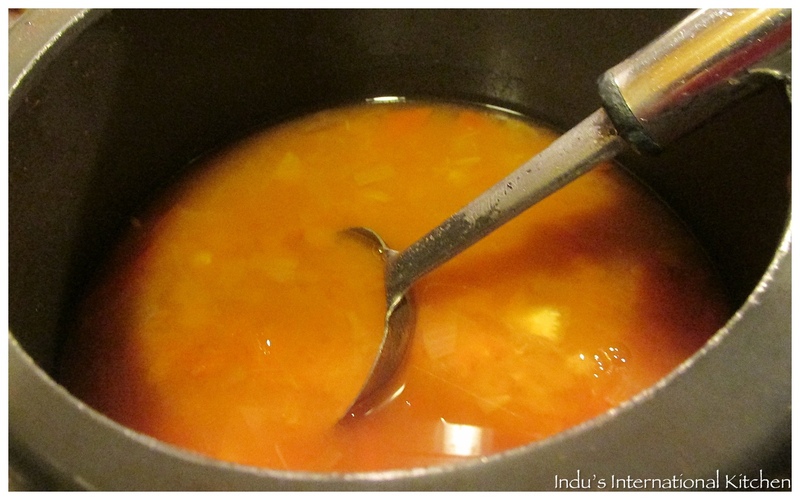 You can adjust the consistency of this soup by adjusting the water content. it is traditionally a thin runny kind of soup. Use 1/2 tsp of red chili powder if you like it extra hot. I always write recipes such that they are moderately hot vs really hot. Also different brands of red chilli powder have different levels of heat and hence the quantity of red chili to be added is best left to the discretion of the cook. The dry red chiliies in this soup just add an extra burst of heat but they are not meant to be eaten so take them off before serving!